World renowned Los Angeles-based photographer Steven Taylor takes us inside the studio with the G.O.O.D. Music camp while they were working in the City of Angels. 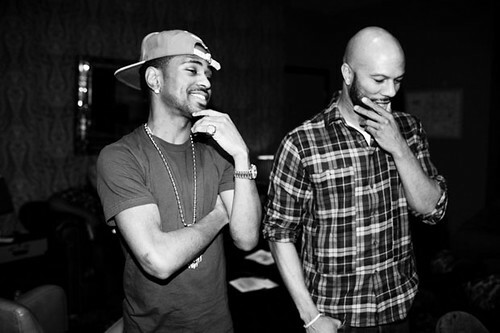 Pretty neat, high quality photos of Common, Big Sean, CyHi The Prynce, Teyana Taylor, and Omarion working on the complitation album coming later this year. More photos after the jump….. I was wondering the some thing myself! I like that the photographer sneaks a cameo in the mirror on No 5. Mr. North – I’m getting some weird errors when I try and click through the gallery.